Now that people have overcome their fears about buying online, they’re venturing through the web to get unique clothing (that probably won’t find in their countries) So this is the moment for stores to take some risk and create an E-commerce solution offering their products worldwide. Among many refund policies and products exchange, fashion lovers become more active in online shopping; without any worry about it they picking their size, color, style and favorite brands comfortably at home from their computers or even others from their mobile devices. This is why brands become more competitive and stand out from the competition; whether because their products or just because they have an engaging look. 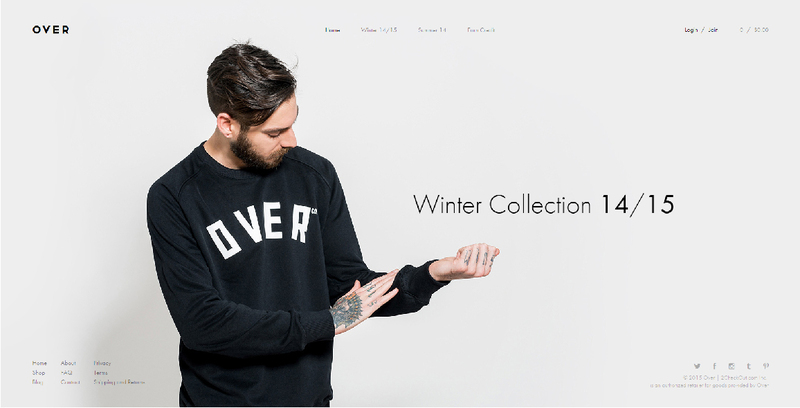 With a wide catalog of products and unique graphics, Love Clothing has a minimalist design with some little .gif animations which give this site a dynamic style. Their strongest aspect is the responsive version implemented, where their design, simple but engaging, highlight their products with a detailed view of each one of them. The stunning photography quality and simple design of Over Clothing are the perfect mix at the moment of presenting a product gallery. The elements within the site lead to a complete harmony between gray and pastel colors predominant in the color scheme reinforcing the idea that their products are for those that are looking something different. 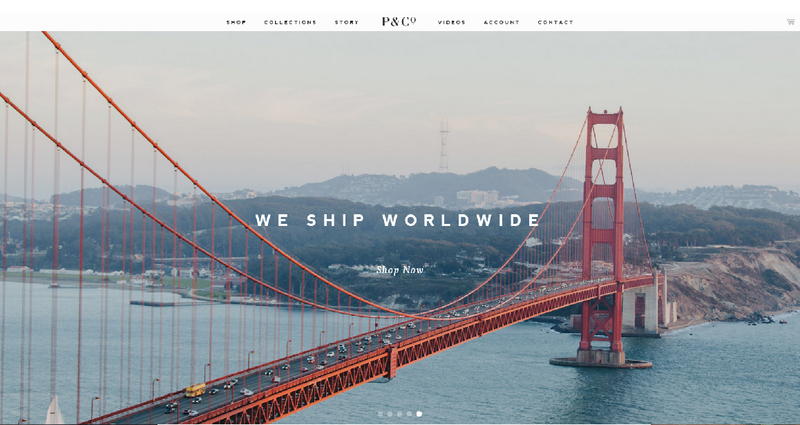 P&Co is the clear example on how to have a store with a strong, masculine fashion style. 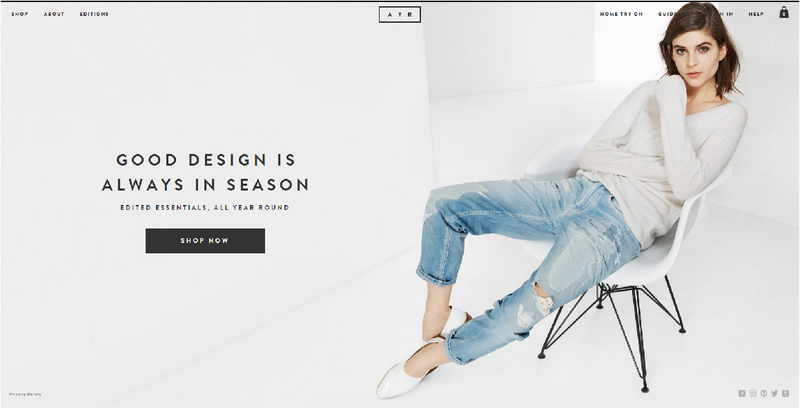 In this site images of big size,semibold font and dark colors scheme predominate, elements that fit regarding their brand target. Their wide galleries have thumbnails making them being harmonic within their particular style, they’re the protagonists of this exceptional online store. 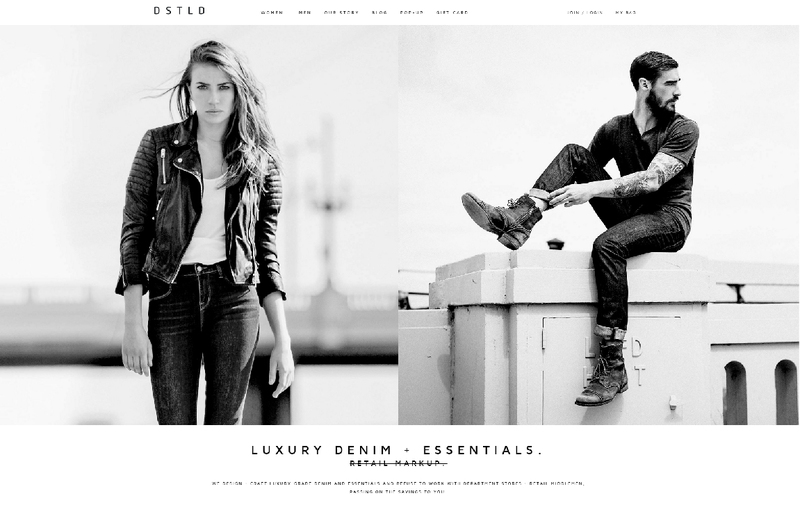 One more time minimalist style has the protagonist, this time DSTLD presents structured galleries of products with the facility of choosing from homepage to which audience we belong to, women or men, leading us to a simplified search experience. The mix between black and white is the perfect color scheme to centre user’s attention in the high quality of product’s photographs. They’re taking the experience of their physical store of vintage and industrial style to their website so the client will be familiarized with the environment. 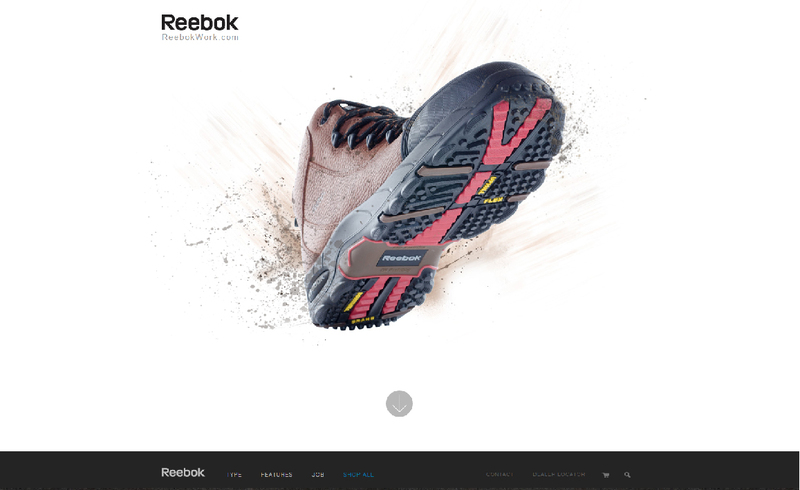 Reebok stands out with their flagship Reebok Work and through clean graphics and simple navigability shows up their product’s benefits. Additionally, products are clearly segmented with filters that easily fits to any customer specification within the catalog. They’ve done an excellent display job, making the search experience pretty easy and accurate. Boards of freedom mixes a color scheme pretty simple with incredible details and grunge style, which is very precise with their clothing. Slides presented one page through another one are exceptional, it plays icons and fonts, creating a distinguishable site. This is not just another one in the pile it is a whole delightful experience to go through its tabs. Despite it doesn’t have a responsive design is still a good referent those that are looking for an “out of the box” presentation of their products. Minimalist trend continue with AYR and its simple design and hints of pastel colors in contrast with black coloring. Having a clean catalog and generous space for photographs give them an advantage in mobile versions. The most stunning thing of this site is the way in which you can visualize the products even changing its color by clicking a button. There’s a really good products display. 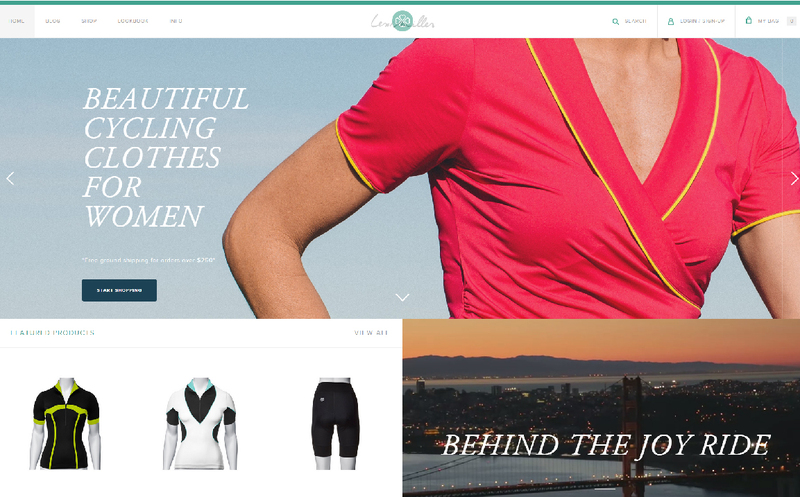 Lexi Miller has an eye-catching and fresh design with generous spaces between one product and another one, which permits smoothly navigate in the site. Its wise design move is centered its attention into a specific audience and created hovers within the products so the customer easily chooses his/her size and color and add it directly to the bag. Its responsive design is meticulously planned and permits easily scroll among sections; furthermore presents very detailed images even for the smallest display resolutions. Typeface family is a wise decision due to the fact that has contrast with handwritten font of the logo, making it features from the other site contents. A really good combination of generous spaces and colors making this store attractive. This section within Etnies official site let us know which is their target audience with a really good presentation of the product launched. Animation visuals mixed with samples of the lifestyle they sell through their products is incredible. 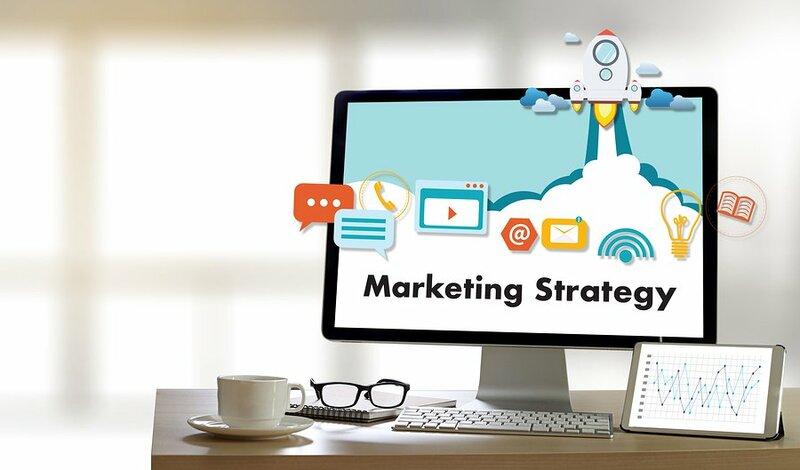 It is noticeable marketing team and their design work efforts. Products presentation permits a 360º visualization of it as well as facility to select the color scheme you prefer. 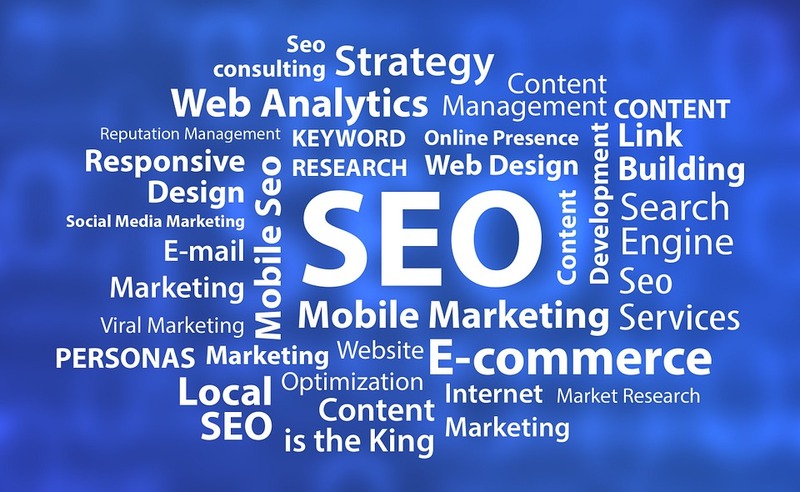 Their responsive version falls short, even it is shown that they have in mind the quantity of info to be display from a mobile device so the content get adapted to the device’s needs. Brickfielder handle a remarkable design by showing dynamically their products. 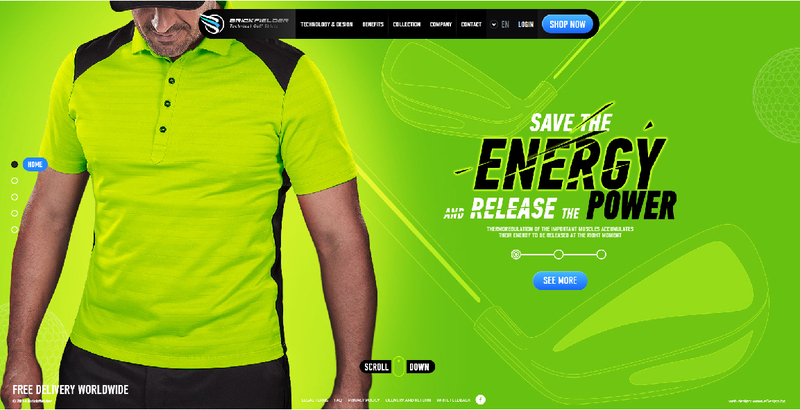 When scrolling in homepage, the benefits of clothing will be found through impressive product samples showing us the abilities of developers and design teams. Their design is accurate in terms of colors and fonts, additionally there’s content with the details of each product within the infographics. There’s also multiple color choices that can be visualized within the galleries in motion in the same way that allows different options in terms of fabric, sizes and quantities. The interactive part of the site can be displayed in mobile devices and which is optimized for fast charge of content in mobile devices. Brickfielder is an absolute design and user experience success.